ZAKARIA: The great political question of our time is whether the GOP, the Republican Party, can get the United States' fiscal house in order. That's what it campaigned on. Now, in the GOP mindset, Ronald Reagan's presidency is often held up as the shining economic example that transitioned this country away from the malaise of the Carter years to the booming 1980s and '90s and that this is what we should all be trying to do. Well, Ronald Reagan's first budget director was a 34-year-old Congressman from Michigan named David Stockman. Stockman left politics 25 years ago, but he is so worried about where we are headed, he has reentered the national debate. 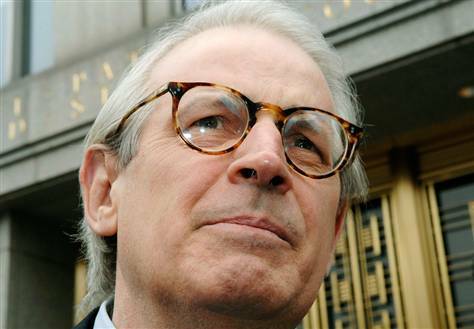 David Stockman joins me now. Welcome. STOCKMAN: Great to be here. ZAKARIA: So tell me what the economy looks like, first of all. You spent a lot of time looking at these kind of things. When you look at the data, what does the American economy look like now? STOCKMAN: I think it's very weak and I think we're not in any kind of conventional recovery. This isn't just a business cycle. I think we've been through a 30-year binge, if I can use that word, of massive debt creation, both in the public and the household sector. We've had a Fed that's totally changed policy and has become very easy and run the printing press year after year, fueling this enormous current account deficit that we've had. We basically run $8 trillion worth of deficits with the rest of the world. That is, we're living beyond our means, by that extent, and it's cumulatively built up into all kinds of weaknesses in our economy. And so today we're having a hard time recovering from the big recession that we went through over the last two years. And I think this is going to be par for the course, the new normal. Economic growth will be weak as we try to unwind this massive spree that we, unfortunately, indulged in and reduce the debt on the household sector and on the public sector at some point. ZAKARIA: So you're talking about a number of years of fairly poor growth, probably much worse than the current projections? STOCKMAN: Yes. I think that's right, and we've never faced that before, because for 40 or 50 years, this baby boom generation has always believed that things will get better and better and they did, and that when we ran into recessions, that we could spend our way and borrow our way out of it. Well, we did three or four or five times. But I think when we got to 2008, we were at the end of the road. We had $50 trillion of debt on the public and private sector combined in this economy. We had what would be called the leverage ratio that never before had been seen in history. Even during the great depression of the 1930s. So we were at a break point, and - and as a result of that we're now in an environment where it may take 10 years of very little growth, of difficult struggle to rebalance our economy, and bring it back to sustainable health. So we're in a real bind, and I think the budget projections ignore that, and, therefore, they're way too optimistic.